Howdy! Time Enforcer Anubis here with a new feature! When I do a review, I try hard to stick to reviewing just the one game. Comparing two games in a review that’s supposed to be of just one game is a disservice to the game being reviewed. 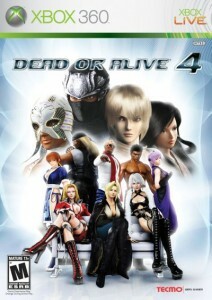 That, however, isn’t to say that there’s no … Continue reading "Versus Mode: Virtua Fighter 5 Online vs. Dead or Alive 4"